Am I able to create a PDF form that I can send to people and then they will be able to fill it out and submit it? You can export a PDF form from your JotForm account. 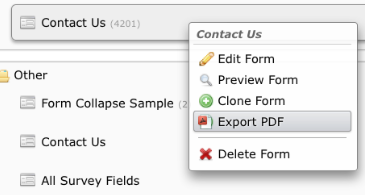 To create a PDF form, right click on your form on My Forms page and then select "Export PDF" from the menu.